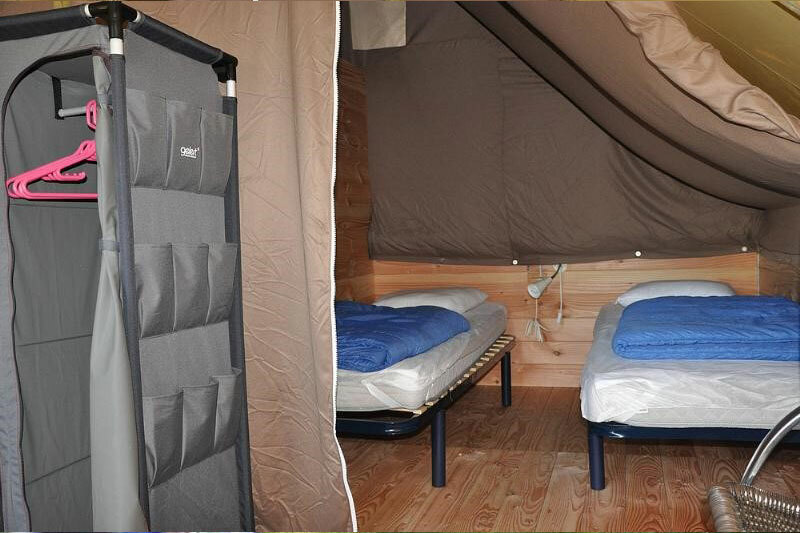 An original rental option when you want to capture the spirit of camping without having to transport and then put up a tent – you will sleep in a tent, but in proper beds. 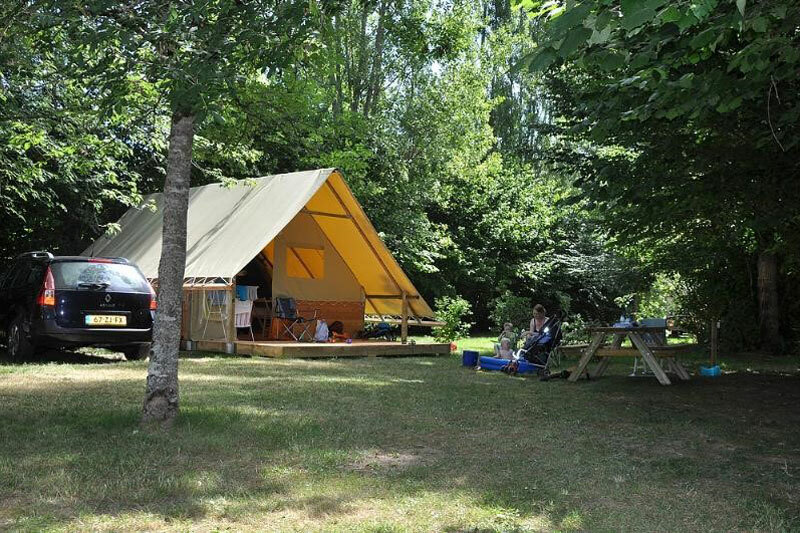 The perfect compromise between comfort and camping. 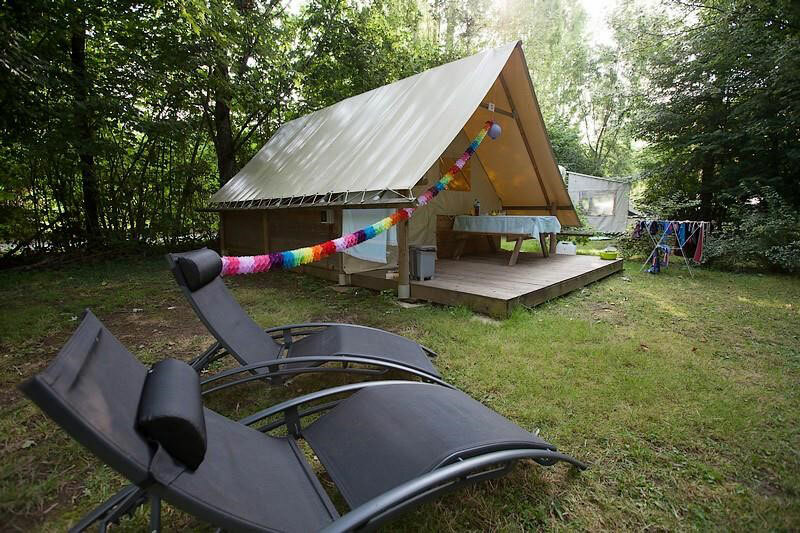 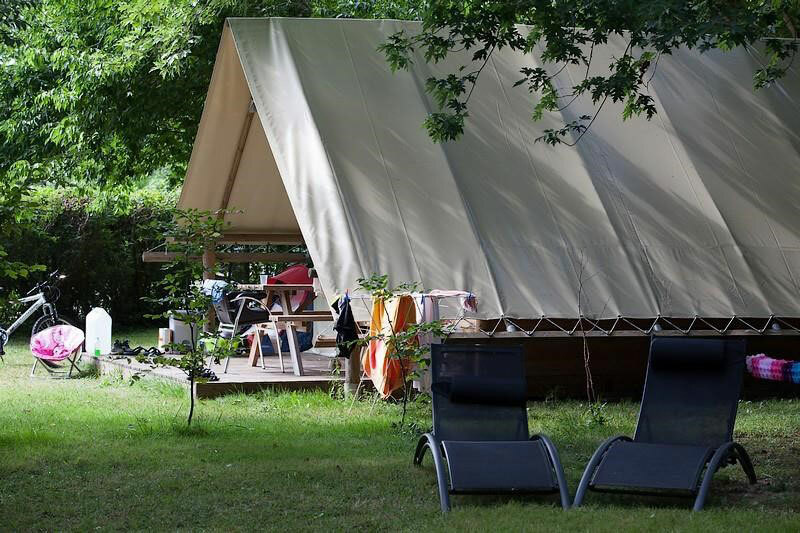 These equipped tents are ready to welcome you to the Dordogne-Périgord with their two bedrooms, kitchenette and terrace in the shade of our wooded park. 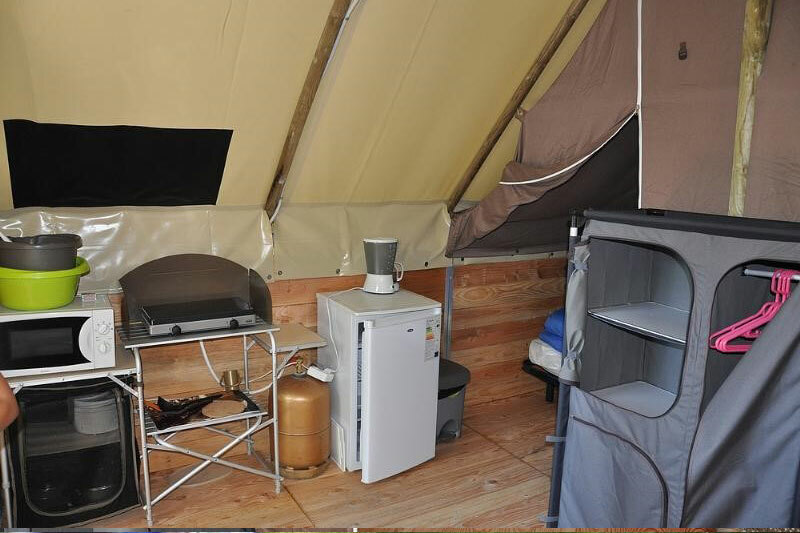 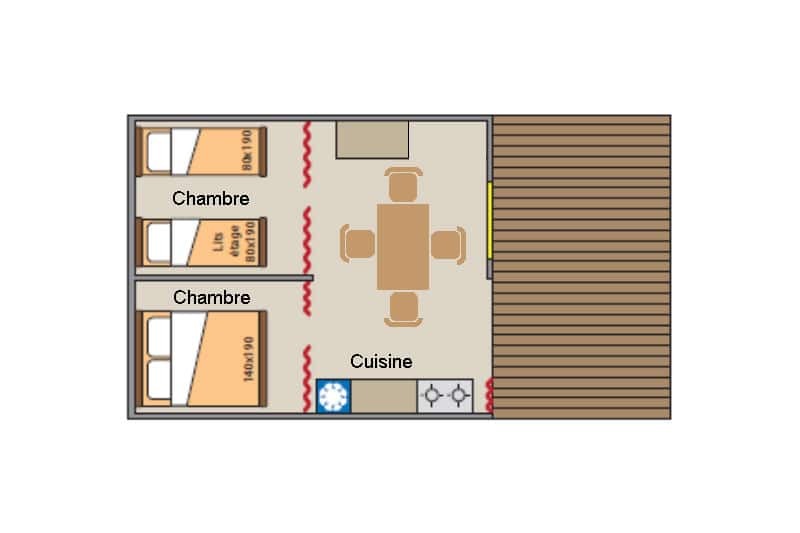 We have fitted out these tents so that you can have a comfortable holiday: hotplate, microwave oven and fridge. 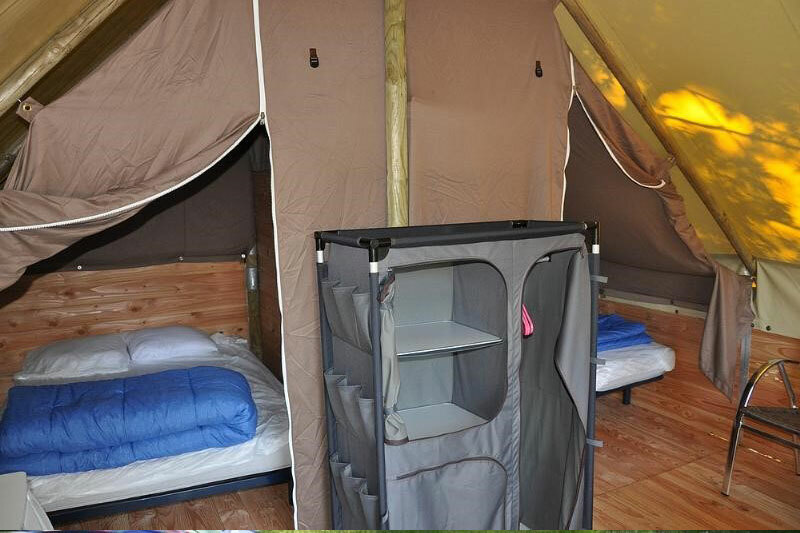 Set entirely on a terrace, you will be protected from damp ground and can sleep in proper beds for a great, restful night’s sleep. 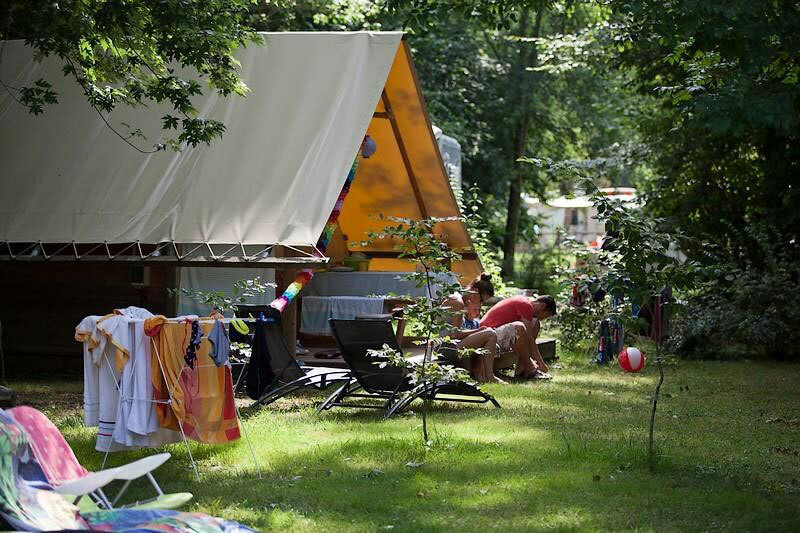 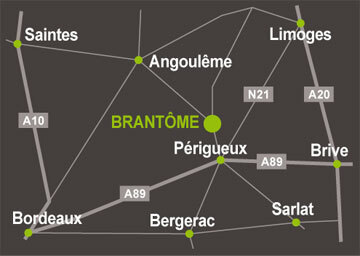 These tents, which do not have a toilet or shower, are just a short walk away from the campsite’s sanitary facilities.